The term “house advantage” refers to the mathematical edge maintained by gambling operators that ensures the house will always end up making money. The house advantage in games, usually given as a percentage, can range from fairly small (less than 1% for blackjack players using basic strategy) to quite large (about 25% for some blackjack side bets). These numbers represent the average amount of all their wagers that players will lose over the long term. Remember, in gambling almost anything can happen in the short term. Concepts like house advantage and Return to Player are always calculated over the long term. How is House Advantage Achieved? Most people realize that the house has an advantage on all games it offers, but how the house achieves that advantage is often not well understood by players. The house achieves its advantage in a few different ways. Rules of the Game: Every form of gambling has rules that define everything about that game, including how the game is played, what equipment is used and when betting occurs. In effect, the rules are the game. The rules can also help create a house advantage. For example, there is a rule in blackjack stating that if both the player and the dealer “bust, ” the player still loses. True odds vs. payoff odds: House advantage is often achieved by setting payoff odds lower than the true odds of winning. Roulette is a good example of this. 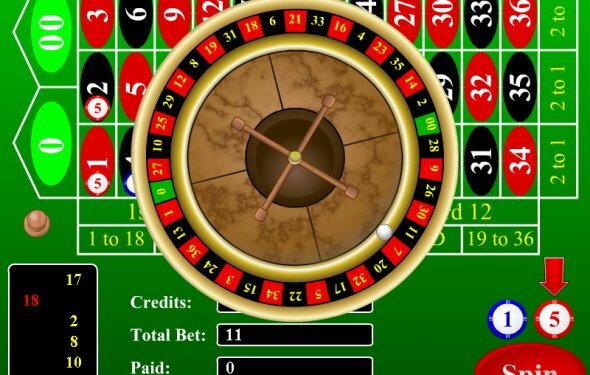 In Manitoba, roulette wheels have 37 numbered slots (1 to 36 and 0), so the true odds of picking the correct number with a single bet are 36 to 1 (36 loses for every one win). However, the payoff odds for picking the correct number are 35 to 1, just slightly less than the true odds. This difference between the true odds and the payoff odds results in a house advantage of 2.7% – over time, players will lose an average of 2.7% of all the money they wager. Other common games in which the payoff odds are set lower than the true odds include mini-baccarat, blackjack, Pai Gow poker, let it ride, three card poker and Caribbean poker. Note: It is the total amount wagered that is exposed to the house advantage, not just the amount of money brought to the gambling game initially. Many gamblers continually re-wager winnings, chips or credits, thereby increasing their total amount wagered and increasing the amount of money exposed to the house advantage. By far the most common form of gambling in casinos is slot machines. Slots and VLTs are another form of gambling where the overall payoff odds are set lower than the true odds. The term gambling operators often use when referring to house advantage on slots and VLTs is a . Theoretical Hold: The reason the hold is called “theoretical” is that it’s based on long term statistical probabilities. The results of each and every play are random and independent of any other play; however, over the long term the overall results will drift toward the expected or . Check out the section on Short Term Volatility vs Long Term Predictability to learn more about how this works.